It is hard to think away out of our heads a history which has long lain in a remote past but which once lay in the future. F. W. Maitland– now where have I heard that name before? I’m only too well aware of how limited my knowledge is of ‘older’ historians, but the name seemed familiar. I have been reading about Sir Peregrine Maitland in Upper Canada and I thought that perhaps I had the two mixed up. But then I realized that a picture of F. W. Maitland was on the cover of the conference program at the legal history conference I attended at Cambridge a few weeks ago- in fact, he was the Downing Professor of the Laws of England at Cambridge between 1888-1906. That surprised me: the quote above seems somehow more reflective and almost postmodern than I would have expected from a 19th century legal historian. F.W. Maitland was a philosopher at heart, who went into the law for largely pragmatic reasons and came to history rather late in his prolific, but rather short, academic career. At the age of 25, and as part of his quest to earn a Trinity Fellowship he wrote and self-published a treatise called ‘A Historical Sketch of Liberty and Equality as Ideals of English Political Philosophy from the Time of Hobbes to the Time of Coleridge’. Much of his academic work elaborated on this foundation, whereby he unearthed, transcribed and commented on the broad sweep of English law, right back to Roman and Anglo-Saxon law. From this he developed a sweeping vision of social relations and modernity both in Britain and the Anglo-world, and on the Continent. While solidly a records-based historian, grappling with legal, highly technical documents, his works revolve around the larger philosophy of ideas exemplified by de Tocqueville, Adam Smith, Montesquieu and Marx. 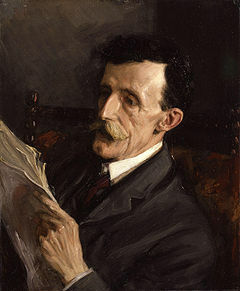 Although a prolific writer- over 5000 pages- much of his work was conducted in spite of ill-health through tuberculosis, and he died in 1906 at the age of fifty-six. He knew the importance of starting in the right place to find the essence of the structure. Alan Macfarlane (a renowned social anthropologist in his own right) F. W. Maitland and the Making of the Modern World. It’s downloadable as a PDF here and it displayed brilliantly on my e-reader- being able to read long PDFs in a book-like form without having to print off- now this is what an e-reader does really well. A You-Tube video Alan Macfarlane lecturing on F.W. Maitland in 2001 in the Department of Social Anthropology, Cambridge University. There’s no bells and whistles here- it’s just a straight out, softly-spoken, chalk and talk lecture that assumes familiarity with Maine, Montesquieu etc (an unfounded assumption in my case!) but it convey’s Macfarlane’s deep admiration of Maitland and the significance of Maitland’s work. When I first started thinking about expanding my thesis to include Upper Canada and British Guiana, I thought that I’d read a bit of Canadian literature to ease myself into it. I asked around a bit and several people suggested Susanna Moodie and her sister Catharine Parr Traill. To be honest, I hadn’t heard of either of them. It’s strange jumping into another country’s history with as little background as I have. I find myself wondering about parallel books in Australian history and literature- do they exist? have I read them? did I like them? I expect that Roughing it in the Bush would be categorized as biography/autobiography/emigrant literature. Emigrant literature was very important to Upper Canada which was consciously trying to attract as many British migrants as possible to bolster the British identity of the colony, which was challenged by the French/Canadians of Lower Canada to the right and the Americans from the south. Was there such a thing in Australia, I wonder? I can think of edited books of diaries and letters, but these are not necessarily crafted as literature (hmmm.) Flipping through Project Gutenberg Australia, there are all those travel books like A Lady’s Visit to the Gold Diggings of Australia (never read it) or My Experiences in Australia: Being Recollections of a Visit to the Australian Colonies in 1856-7 (never read this one either) or this sounds good Cooee: Tales of Australian Life by Australian Ladies (and no, I haven’t read that either). But I’m not really sure whether these qualify as emigrant literature- written specifically for people back home who are considering emigrating, as distinct from merely visiting, to Australia. In most instances, emigration is a matter of necessity, not of choice; and this is more especially true of the emigration of persons of respectable connections, or of any station or position in the world. Few educated persons, accustomed to the refinements and luxuries of European society, ever willingly relinquish those advantages, and place themselves beyond the protective influence of the wise and revered institutions of their native land, without the pressure of some urgent cause. Emigration may, indeed, generally be regarded as an act of severe duty, performed at the expense of personal enjoyment, and accompanied by the sacrifice of those local attachments which stamp the scenes amid which our childhood grew, in imperishable characters, upon the heart. Nor is it until adversity has pressed sorely upon the proud and wounded spirit of the well-educated sons and daughters of old but impoverished families, that they gird up the loins of the mind, and arm themselves with fortitude to meet and dare the heart-breaking conflict. The ordinary motives for the emigration of such persons may be summed up in a few brief words;–the emigrant’s hope of bettering his condition, and of escaping from the vulgar sarcasms too often hurled at the less-wealthy by the purse-proud, common-place people of the world. But there is a higher motive still, which has its origin in that love of independence which springs up spontaneously in the breasts of the highsouled children of a glorious land. They cannot labour in a menial capacity in the country where they were born and educated to command. They can trace no difference between themselves and the more fortunate individuals of a race whose blood warms their veins, and whose name they bear. The want of wealth alone places an impassable barrier between them and the more favoured offspring of the same parent stock; and they go forth to make for themselves a new name and to find another country, to forget the past and to live in the future, to exult in the prospect of their children being free and the land of their adoption great. A large majority of the higher class were officers of the army and navy, with their families–a class perfectly unfitted by their previous habits and education for contending with the stern realities of emigrant life. The hand that has long held the sword, and been accustomed to receive implicit obedience from those under its control, is seldom adapted to wield the spade and guide the plough, or try its strength against the stubborn trees of the forest. Nor will such persons submit cheerfully to the saucy familiarity of servants, who, republicans in spirit, think themselves as good as their employers. Too many of these brave and honourable men were easy dupes to the designing land-speculators. Not having counted the cost, but only looked upon the bright side of the picture held up to their admiring gaze, they fell easily into the snares of their artful seducers. Certainly she and John were inexperienced, but it surprised me that at first they came into contact with several people who had emigrated to New South Wales for a couple of years, returned to England, then come across to Upper Canada. I am aware of serial migration as a more recent phenomenon (I’m thinking here of Jim Hammerton’s work) but I hadn’t been particularly conscious of it for the 1820s and 1830s. They were heavily reliant on their servants and in a small cabin they were forced into closer intimacy than they may have wanted. I’d heard that Upper Canada had been denigrated as a place where gentlemen had to share their table with their servants, and that was certainly the case here. Just as in Australia, there were complaints that servants were scarce, ‘uppity’ and too ready to seize their own opportunities in a new land. The early part of the book involved travelling up the river to their destination- there’s that river-consciousness again– and their horror of the cholera that raged in the settlements they passed. Cholera?! I obviously labour under a misapprehension about Canadian weather- there’s heat and bushfires here, as well as snow. I hadn’t been conscious of this same concern about health in early Australia. Their first block of land certainly didn’t seem to be in what I think of as ‘bush’: they were deluged by their neighbours, mostly Yankees, who were boorish, acquisitive and relentless borrowers. It was with some relief that they shifted further into the bush, even though there they had to battle with bushfires (a quite exciting chapter!) and isolation. 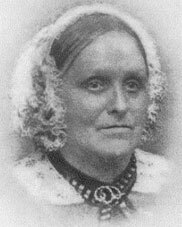 Her difficulties were compounded by her husband’s absence when political dislocations during the 1837 Rebellion caused half-pay officers to be enlisted for military duty, leaving her to cope with the farm alone with her servants. There is a degree of familiarity and ease with the surrounding Indians which contrasts strongly with the wariness and repugnance of Australian settlers to the Aborigines whose lands they had appropriated. Chapters in the book are topped and tailed with poetry- rather awful stuff- and halfway through the book her husband jumps in with his perspective. The final chapter was odd, too- it was written by her husband, by now a public servant in Belleville, full of facts and figures about Canadian progress and some interesting (for me) political analysis. But frankly, I enjoyed her chapters much more. Her descriptions of landscape are deft, and she conveyed well the heat and the cold, the loneliness and the sense of community at logging bees and their social interaction with their ‘equals’ (as distinct from those Yankees). I can’t really think of an Australian parallel book to this. I haven’t read Louisa Ann Meredith’s books My Home in Tasmania, during a residence of nine years or Over the Straits: A Visit to Victoria, which sound similar to this, but these were written in diary form as a stylistic choice. The book that it reminded me most of, albeit in a different time and read many, many, many decades ago, is Mrs Aeneas Gunn’s We of the Never Never. Both Moodie and Gunn wrote in the first person, with dialogue, description and an emphasis on relationships. Australian readers- can you think of other early, autobiographical novelistic books that might be similar? This is the first book that I have read on my E-reader, and this is exactly the sort of text that I bought it for- an old book now in the public domain, which would nestle in the ‘special collections’ library of anywhere I could borrow it from here in Australia. The reason I purchased an I-River Story was to have a keyboard for notes, and that function worked well enough, although it was clunkier to shift between memo and book than I anticipated. I found it good for reading in bed- none of that grappling with the left hand page when reading lying on your side, and I certainly felt more relaxed reading it in this format than gingerly turning pages in an old volume.